Discovered this DJ and iTunes podcast just before the holidays. It's my new workout jam. The Velvethead Lounge by DJ Joel Antipuesto. 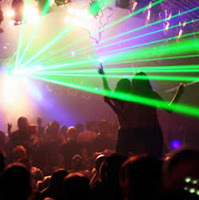 All the house music you want and can sing along with. Before you know it you've spent an hour and a half at the gym. Download it, listen, love it! Yay, it's Wednesday! My week is flying by in a good way, hope week is as well. Revealing book spoilers. Yesterday's One Campus, One Book discussion with Hector Tobar on his novel, The Tattooed Soldier. First question, this poor star-child of God probably who had probably never been to a book reading before proceeds to give away the ending. Not cool for those who were just pages away from finishing the book (like me!) What's a reader to do? How does a teacher teach how to ask better questions? One bookclub shares etiquette for discussing endings and plot points. Complaining about your day job. In this economy, and with jobs disappearing, it's a Manager's Market. This is not the time to be a "regular" or a "clock watcher" -- it's a time to SHINE and go beyond expectations on the job. The Onion shares a bit of sarcasm: Incompetent Staff Feels Underappreciated. It's funny, I think. Maybe because I don't consider myself a "regular" or "clock watcher." How President and Michelle Obama are making it cool to be smart. NPR shares Obama's Impact on Black Achievement. They're also making it cool for black-on-black love again. MSNBC on the Obama Marriage. New book alert! 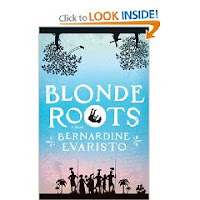 Blonde Roots by Bernardine Evaristo. I've been hearing lots of buzz on this novel. It flips the African holocaust and slave trade, and addresses the premise -- what if Aphrikans enslaved the people of Europa and shipped them off to Amerika. This is definitely going on my list. You're a writer with low-to-no funds? Paperback Writer shares publishers who take query online from unagented authors. OK. That's all. Happy day! Oooh, I'm jonesing to be in Atlanta... for a number of reasons. 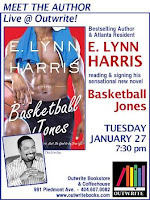 But one reason to be there today is for the debut reading/signing of E. Lynn Harris' new novel, Basketball Jones. The cover is hot, huh?!?! Well, if you're in the A-T-L, make your way over to Outwrite Books this evening for a fun and fabulous time. And especially if your New Year's Resolution was to do something new and different and with new people, try a book reading with one of our literary legends and role models. I ran into an acquaintence the other day who is interested in the writing life. She wrote a nice memoir about her growing up years. I think she had a legitimate shot at getting picked up by a major publishing house in NYC, but her patience just wasn't there and so she chose the self-publishing route. Two things I always tell folks who are aspiring authors-- 1) the publishing industry and process is S-L-O-W... and you'll do a LOT of waiting... it's ok, and it's part of the process; and 2) you shouldn't have to put out any money to have your book produced. In other words, you should never pay an agent out of pocket (they get paid only when they sell your work to a legitimate publisher). You should never pay out of pocket for an editor (real publishing houses have a staff of editors just waiting to be assigned to your book). You shouldn't pay anyone to read your book (a short story contest, maybe the entrance fee). You should never pay for production costs -- printing books, cover photography, typesetting, etc... You shouldn't have to hustle to find a bookstore to sell your books. Real publishers take care of all this when they take you onto their label. My friend who's interested in the author life started telling me about something to do with Craigslist and her book, and I put a stop to her conversation and told her NOT to send it or deal with the "publisher." Real publishers don't advertise for clients on Craigslist. They don't need to. Literary agents, once you're fortunate enough to get one, shop your work around to legitimate publishers until they find the right match and right deal for your project. Guide to Literary Agents site. Now... what are some things you might end up paying for on you own. You may end up paying a photographer for some professional photos for your book cover and website. I get new pics done for every book. You may end up investing (i.e. paying for) some of your advance money in your promotions -- postcards, bookmarks, online or print ads, mailings, etc... What used to be a "C-list on the label author thing" is now creeping up to the "B list on the label thing" during the current economic situation. And here's the doozie... and in this economy, I can guarantee you'll pay for this one (unless your name is E. Lynn Harris, Terry McMillan, or Jackie Collins). You'll pay for your own book tour and travel expenses related to promoting your book. Yes. You. Will. Many of my friends are talking about how they're figuring out this expense, especially when book advances are stabilizing or getting smaller. They're getting creative, cutting back on travel, or combining tasks -- day job travel with book travel; book conferences with book club visits. Or, they're trying to get speaking gigs at universities. Those gigs usually come with a small honorarium or travel. Finally, book advances are getting smaller. But no worries... though the advances may not be the same as the good old days, when you're picked up by a major publisher, you get a whole team of support and staff there to support your book -- artists to design your cover, editors to read and feedback your book, marketing folks to develop the plan for getting your book out there, accounting folks to figure out your sales and royalties, and the BIG one... a sales/distribution team that will get your book in all the major bookstores. They're all part of the deal when you get signed by a major publisher. And you don't pay for any of that. Again, aspiring authors... just remember patience and no payment. Write the best project you can, and the rest will take care of itself by the Universe. Don't you ever get a sista to the point of a "Don't Make Me..."
My friend Jamey over at Daytime Confidential posted what I believe is the BEST daytime catfight ever. Too bad I never watched Generations back in the day. Check out the young Vivica A. Fox doing her thing. Thanks D-Place for surprising me today with an award recognizing blogs that have inspired in some way. It's really cool recognition. You never know who is reading you or who you are affecting in some way. Receiving the emblem in recognition of your mentoring, support, and encouragement to a fellow blogger is no small fete! It is evidence you have gone well beyond the call of duty by your continued efforts to "leave the pile higher than you found it!" It is further evidence that your blog has been identified as the epitome of excellence and is certainly admired. Thank you for your inspiration! 1. Keith Boykin. Though he's no longer "blogging" regularly per-se, you can read his work on The Daily Voice now. He was the first blog I ever read and on his final post, you can find links to other black LGBT blogs that are great reads. 2. Frank Leon Roberts. Another New Yorker (all my first blogs are NYC based), he is a scholar, cultural critic, and activist. 3. Clay Cane. I just love everything about Clay and his blog. You get serious, you get lots of funny, you get very good writing! 5. My Teenage Years. Another early read for me, I've enjoyed reading his personal journey from high school to his current days in college. 2. Diary of an Anxious Black Woman. 5. Chaz Lamar. (blog on MySpace). 1. Select 10 bloggers: 5 you consider your blogging Helping Hand then "Pay it Forward" by extending your "Helping Hand" to 5 additional bloggers in support and encouragement for their efforts. 2. In passing on the Emblem, each recipient must provide the name of blog or blog author with a link for others to visit.Each recipient must show the Emblem and put the name and link to the blog that has given it to her or him. 3. Link the Emblem to this post: Helping Hand: Much Obliged and Paying it Forward so that others will know it origin and impetus. 4. If you have not already done so, show your recipients some love by adding them to your blog roll, Technorati Favorite list, or in any other way to further let them know that their blog voice is important to you and being heard. 5. Add your name to The Helping Hand meme and don't forget to leave a comment as a permanent record of all Helping Hand recipients. But How About Some Good News? Love that image... the happiness of winning! So cathartic, but a downer my previous entry... how about some good news? Tayari Jones' Inaugural Ball experience. Also a pageant queen... and Miss America is this weekend on TLC. How about some happy Old School music??? Phyllis Hyman's You Know How to Love Me. Or how about Faith Evans' Love Like This. So I don't talk too much about my dating life. I'll usually blog or talk with friends about crushes, but rarely do I talk about the outcome of those crushes... or how situations may have ended. Today, I kinda feel like it because it's more of a public service (safety) announcement... in a way. About four years ago I dated someone who had (and his family had) a long-term and ongoing relationship with the criminal justice system. I learned this just shortly into the situation, but (stupidly) decided to give it a chance (because hey, that's what good guys are supposed to do... not! ), and brought him into my personal and professional world (because I was trying to show him how doing the right thing is so much simpler than the complex world of criminality). Let's just say losing a few dollars and several broken hearted nights waiting/wondering was ALL I gained. Oh, and I learned how to write a resume and job applications for someone who has NO skills or desire to have skills (other than, well...) I learned how to juggle my life and schedule with managing his (no-car-owning) life. I learned how to keep secrets from friends about everything I did for him. Until he "went to Pennsylvania" a couple years ago, which to me was a natural and God-given breakup. For those of you who grew up naive to a life of streets and criminality (like me), "going to Pennsylvania" is slang for going to the pen... to jail/prison. Yeah, I know... you learn a lot from living and making mistakes. He goes. I grow. I ignore collect calls. I write and work. I thank God for sending him away. Then last weekend, while out with some friends I get a tap on my shoulder. It was Prison Break. He was out. And had a big smile. Had a new "boyfriend". Did the whole "did you miss me while I was in Pennsylvania?" "what have you been doing?" "do you have someone?" routine... very nicely, calmly, respectful... of course we were in public in a very crowded place. Of course I'm currently single, but I whispered to my buddy standing next to me "Prison Break" and suddenly we were locked arm in arm as if we were together. That was silly, but necessary. Leave no door open to a criminal or an ex who is a criminal. I don't think they change. Eventually, he and his "boyfriend" who I think was another con artist (because of all the questions he was asking me about my life) move on to their night of fun. But Prison Break doesn't hesitate to ask me for money, if we can hang out, if my living and professional settings are still the same before moving on. I answer no, no, no and no to all his questions, no explaination, just no. In the past I would have had a justification for no, which he'd be able to con-artist into a yes. Like I mentioned at the beginning of this blog, I normally don't talk about these kinds of issues. I'm a private person. But... last Friday when I saw Prison Break, I instantly thought of Jennifer Hudson and her family situation. And since that time, I've proceeded to let those in my personal and professional close circle know that Prison Break is out and back in town... more informational than being scared. But still, your mind can't help but think about how unpredictable the criminal mind can be. Sharing with you... because I imagine you or a friend may be in situations that seem impossible to break, change, get out of, whatever, and to share the struggle to change and break those bad habits. I also don't want to end up a statistic on the receiving end of Prison Break's decisions, so this also is a public service and safety announcement for me too. Believe me... life has gone on from Prison Break, and I'm a much more confident and assertive person when it comes to the choices I make regarding dating. Of course you want to pinch yourself and say things like "how could I be so...?" But it is. It was. It won't ever be again. And hopefully it won't be for you either. I'll be glued to the television watching the Inauguration this morning. My sister is in D.C. enjoying multiple festivities. I know students all over the country will be packed in auditoriums, dorm lounges, and cafeterias. If you can be around other people this morning, try to do so... for the inspiration. The new day we all hoped for is here. Barack and Michelle Obama will need our prayers and support, as hopes are extraordinarily high for what people expect from President Obama. With that, however, I hope those same high expectations are met by the same kind of hard work and sacrifice that it takes to meet expectations. I was just watching the local news in L.A., and a man who has been unemployed for the past 3 years spoke as if a new job is going to fall in his lap now that Obama is president. I've heard others share formally and informally that their problems are miraculously going to be resolved by the weekend with the new president in office. With my students, I've been using Barack and Michelle as an example of what/how hard work pays off. To the student who is ALWAYS behind on work, I tell them "Do you think Barack became president by being late all the time?" Or to the group using language that is demeaning to themselves (n-word, b-word, h-word, etc...), I tell them "Do you think Barack and Michelle talk about (or think about) themselves with those words?" Anyway, it's a new day. An exciting day. And I think and hope a new way for all of us to be with ourselves and others. "Everybody can be great, because anybody can serve. You don't have to have a college degree to serve. You don't have to make your subject and verb agree to serve. You only need a heart full of grace. A soul generated by love." -- Martin Luther King, Jr. So hard to believe it's been 8 years since... the election scandal in the U.S.
Was with some friends last night. We played the history "What if?" conversation. Topic: What if it was Al Gore's final days as President? What would be different? What would be the same? But for you... what if Al Gore had prevailed and we were celebrating the end of his 8 year run? A week from today we will be waking up with a new President and First Family. Doesn't that excite you, to be emerging from the last Crazy 8 years? Or has the elation of the election, and all those calls to man up, do the right thing, study up, bring positive change, live your best life, etc... worn off? For those of you in the rest of the (cold and snowy) U.S. -- it's going to be 90 and windy today in parts of L.A. But the crazy part... it's "cold" at night and we need our heaters on. Some more original blogging soon. In the meantime, some of the hot links and blogs I'm checking out lately. Tayari Jones is in Africa again, doing some writing and outreach work. Kim Lawson Roby got a book optioned for series by Lifetime. That's hot. Writers who respect their audience. That's hot. Tom Casiello, soap scribe, summarizes some of As The World Turns' 1980s "long story" written by soap legend Douglas Marland. And the same rules (appreciation for audience) apply to novels too, according to J.A. Konrath's entry, Hail Caesar. White Readers Meet Black Writers blog shares the list of NAACP Image Award nominees in literature. Been enjoying all the clips of the Estelle concert at our Grand Opening on Friday. Gotta love students and their tech savvy-ness. Here's a few for you: American Boy and Come Over. I need a new book to read, now that I have a little bit of free time on my hands. What fiction would you recommend? To give you an idea of my reading style, the last book I read was Dirty Girls on Top by Alisa Valdes Rodriguez, and before that Seen It All, Done The Rest by Pearl Cleage. It's awards season... this afternoon The Golden Globes. With the bad economy, many say the red carpet style will be "Empathy Chic". We'll see... tune in to the Red Carpet festivities on E today! And speaking of movies, has anyone seen Bride Wars? It looks kinda cute and funny to me! For about the past six months, I've let my writing side of my professional life go to the "B-list" of to-do list. Not because I don't care about that part of my life -- or the readers who have bought, read, or borrowed my two novels. I keep a day job at a campus, and for the past six months I've chaired the Grand Opening committee of my campus' Student Union. The event happened yesterday from 3 - 10 pm and it was FABULOUS if I must say. Once pics are up online, I'll share because I'm proud. From lighting design, to food, to security, to invitations and guest lists, to entertainment, to timing the script to the confetti bursts, to going WAY over budget lol, to our headliner ESTELLE it was fabulous. And if any of you ever get a chance to work with Estelle for an event you're planning -- she and her people are so cool and easy to work with. But back to writing. Well, at least I will be. For the past six months working with a fabulous committee, I've put the Grand Opening first. It's been a very fun task. I enjoyed being a dedicated team member for it (some say compulsive, and over-detailed workaholic). Now I kinda have that post-event lull like -- what now? Believe me, now I completely understand post-partem depression for new moms, or why entertainers deal with so much mental angst... the post-event part is hard. I'm excited to move my writing life back to the A-list of my to-do list. First, I gotta get my third novel out of editing purgatory. Then I have a long list of ideas that I plan to make happen on the page this year. Let the writing begin... again! If you're on As The World Turns, age is a drama-producer, especially after a grandmother finds out her new husband wants to bed her grandson. If you're in real life, you realize that you've only got one life to live... so live it. I had to sit with a colleague who will be turning "almost 50" in a few days. She's single, now takes care of and lives with elderly parents, but definitely had her wild phase, but now feels she let those "wild days" go on a little while too long... since she's "almost 50" and feels like her prospects are no longer coming out the woodwork like the old days. Her advice, though, to me... "You can still party well into your 30s, but there comes a slippery slope moment from party animal to settle down... don't slip on the slope like I did and let your settle down with someone pass by." Age. When is the slippery slope? Or is there one? Just a thought, as I think about my colleage who is lamenting turning "almost 50." On a completely different note... 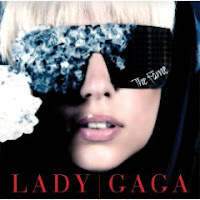 I'm loving Lady Gada's CD, The Fame. A friend bought me a copy for holiday. It's been my gym music for the past few days. Really good lyrics to go with the dancey beats. Who knew I'd fall for Lady Gaga. So I have a friend/acquaintance who I'm starting to have snobbish thoughts about/aimed toward him. Wondering what you think? Or if you've had a similar situation? The thoughts had kinda crept up just before the holidays. I let them marinate while I was away. Last night we hung out, and I had thoughts that I kinda don't want him to be part of my "group" anymore. I feel guilty about those thoughts. The main reason. I feel things aren't reciprocal. Now, I can understand being short on cash in between paychecks. I can even understand that we are from different professional/social backgrounds, so things can't be equal, we can't do the same things, etc... Everyone experiences that. When we're doing rounds at the bar, he's always there with his order. When it's his turn for rounds, he need to take a bathroom break and returns with his solo drink. His hand is always out for gum, mints, a couple dollars for one of the cute dancers, etc... Another friend of my "group" told me he bought El Cheapo's New Year's Eve party ticket. Shallow stuff to be reflecting on, huh? The part I'm struggling with is the non-reciprocal friendship part. Now usually, in normal friendships, your initial greetings are "Hi" "How are you?" "What's up?" "How have you been?" etc... Not, "Do I look good?" or "Do I look like a top or bottom tonight?" or "How you like my outfit?" My inner snob is like, "Is that ALL you can greet me with, and you're 30 y.o.?" Is that bad? I'm a nice guy, try to keep like drama free, quiet, not a snob at all. How can I be... I've got flaws like everyone else. But... How do you deal with your inner snob when it comes to friendships? Is this shallow stuff that's not worth sweating? Is it worth a group intervention? 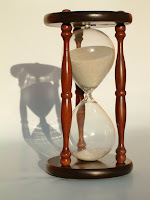 Or do you slowly let a relationship drift away without any sort of processing? Shoot, it's a New Year. Yes, it's January 2... and no, I didn't just wake up from New Year's Eve celebrations. I'm going to treat this day as a regular work day -- yeah, starting to work on a Friday, instead of starting on Monday like most folks will be doing. BTW, I got that quote, "One nail replaces the other one" from Alisa Valdes Rodriguez's Dirty Girls On Top, which I finally finished reading over holiday break. Yes, I started reading in July when it came out. Yes, life happened. But yes, I finished reading it on the cross country flight and absolutely loved it. 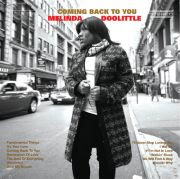 So get a copy for yourself or for one of your friends. I didn't tell you I survived being without a cell phone over the holidays, but I did. Left my charger in L.A. while I was in Detroit. Phone was dead within a day. Thank God for Facebook, MySpace, and other creative online ways of communicating.